Tony Biggs interviews Karl Fitzgerald on the popular On the Blower (RRR). Great discussion! A quick spot on Jon Faine’s morning ABC show (with Ali Moore). Swallowed a fly? Just like First Home Buyers taking out a record $355,000 on average. How much from the bank of mum and dad? How much further till anyone says anything? 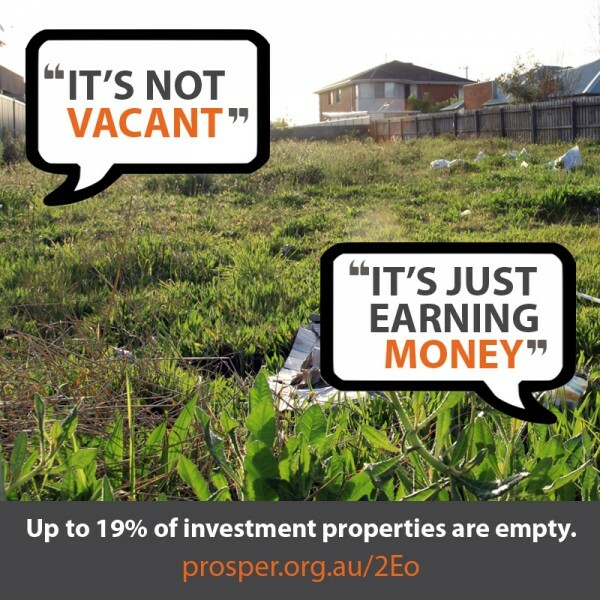 I suspect a number of vacant houses are derelict and not suitable to be rented out.The cost of building in Australia is not being covered by our insurance policies. I am caught in a catch 22 because I have a derelict house I could cannot afford to fix or repair because insurance did not cover the cost of rebuilding and because tradies cost so much and I am struggling to borrow enough to rebuild in addition to my own rent for where we live because my wife got pregnant and sick and I have had to reduce hours at work to look after her. I have budgeted we can borrow more to rebuild after 5 years when my wife is back at work and the baby is at school.